Let’s look at what they will tell you and come up with good soundbite responses. What you are likely to get in response are standard Watchtower arguments justifying its blood transfusion ban. Here is what Witnesses will tell you and how I recommend you respond. Watchtower Argument #1: The Bible specifically forbids eating blood. The Watchtower cites several proof texts in support of its blood transfusion ban, primarily Genesis 9:3-4, Leviticus 7:26-27, Leviticus 17:10-12, and Acts 15:28-29. Most likely, Witnesses will simply reiterate their proof texts. Watchtower Argument #2: A blood transfusion is the same as eating blood. Watchtower Argument #3: The transfusion ban respects the sanctity of life. Believe it or not, Jehovah’s Witnesses see no irony in this claim. Which has a higher value to God—blood itself or the human life that blood provides and sustains? How is the sanctity of life respected by letting a person die for lack of a transfusion? Is the symbol of life more important than life itself? Watchtower Argument #4: Blood transfusions show gross disrespect for Christ’s ransom sacrifice. Blood was created to provide life. That is a use for blood that God approves that doesn’t involve sacrifice at all. Please show me in the Scriptures where it says that saving a life by means of a blood transfusion is grossly disrespectful of Christ’s sacrifice. It isn’t there. In fact, it was Jesus himself who was distraught by the Pharisees’ legalistic view of Bible commandments. Have you ever discussed blood transfusions with Jehovah’s Witnesses? Do you think some of these soundbites might help you get through to them? 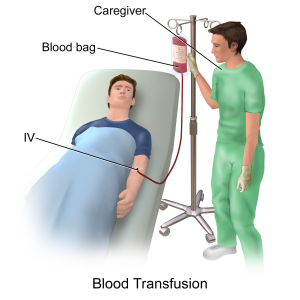 1 Comment on "Discussing Blood Transfusions"
The one major issue that is never discussed is Pikuach Nephesh – provision, by God, to relax laws in order to preserve life. These can be dietary laws, blood laws, etc. Even Jews and Muslims allow the eating of pork in order to preserve and maintain life. They believe that only God gives and takes away life.